Periodically I have a disconnect with a client or a consulting partner. You know, one of those moments when you realize you are on different pages than you thought you were when the conversation started. I’ve realized that there are typically two types of people working in Identity and Access Management. The first group comes from a security background, while the second has access administration or maybe more general IT on their resume. I’m a graduate from the second school. This really dawned on me about five years ago. I was talking to a consultant, who was relatively new to IT, about identity management and how my job was to give the right people access to the right resource, yadda, yadda, my normal spiel. He was listening but had a furrowed brow and I realized he was struggling with the ‘allow access’ part of the conversation. I quickly learned that he was an ex-military police officer with experience in electronic security systems. He was much, much more interested in blocking access and ensuring maximum security. The idea that we could (and should) make access easier was hard for him to understand. I have learned that there are some in this business that come from a position of wanting to over-secure everything. If that’s who you are working with, it is best to consider that viewpoint because they won’t be able to move forward with an IAM solution until their primary security needs are met. But there are also those of us that want a really good user experience even if it means managing some additional security risk. We’ll always look for a design that allows access — while still being compliant with security and privacy — but is more aligned with client business needs. Should government sites use social media login? I’ve been thinking about how the public sector model for identity has changed in recent years from one where the government body controls the credential AND acts as an identity provider, to one where the credential management is delegated to a service provider. Social media login and, at the premium end, SecureKey’s briidge.net are examples of this model. Social media credentials from Twitter, Facebook and Google are used everyday by millions of Canadians. Why not leverage these existing accounts to access government services? The problem I have when talking to clients about these solutions is the assumption that any credential service provider (CSP) will do. That is, a public organization can (and should) readily accept any common credential, add a layer of identity proofing, create a link back to the credential (for future access) and start counting the costs saved. After all, it is all about citizen choice isn’t it? Operational Disruptions — There was a great post from the Basecamp blog a few years ago (since deleted) that described how difficult it was to maintain the link between a credential provider and the site. This post talked specifically to OpenID and how changes to the credential may not be properly shared with relying parties, resulting in support calls and manual fixes. Users would also forget which OpenID account they used, and Basecamp had no automated way to reconnect them. In the end, disruptions were common for OpenID users, support costs spiked, and Basecamp discontinued its use. Longevity — Which social media credential providers are going to be around for the long run? What consolidations of login services or outright mergers are coming? How might the protocols for social media login change? For a public-sector service wanting to provide stable, long-term services, picking the right credential service providers is extremely difficult. Wrong Message — Social media companies (Google, Facebook, even LinkedIn) often misbehave when it comes to privacy. They routinely run afoul of privacy commissioners and even irritate their user bases when ever-invasive features are introduced. Given the poor privacy records, should a public-sector website be encouraging the use of social media login to access government services? What are the downstream risks? Convenience — Social media login can certainly save time when it comes to authentication. I use my Twitter account to access Level 1 (low value) services frequently. I’ll admit it is convenient and I like that blogs, news websites and the like offer this option. But convenience is far less important to me when accessing my personal information on a government website. First of all, security and privacy protection matter a lot more. Further, I don’t access these sites all that often so if I have to login (or request an automated password reset) it isn’t that big of a deal to me. What would be more useful would be a common credential for all of a particular government’s services, so that I can experience single sign-on. So what are the benefits of leveraging a social media credential for government websites? Well, for those more trusting than me, convenience and the benefit of having fewer passwords to remember is a definite plus. And cost savings can be significant for large websites, although keep in mind that a full IAM stack is still required — the public sector website will still need to provide their own login service as not all citizens will trust an alternate credential. Ultimately, social media login for services won’t meet government privacy and security requirements for access to sensitive information. Existing in-house systems and credential solutions (like SecureKey) that specifically address the trust issue will likely prevail. I got my start with identity management 20 years ago. For much of the 90’s I installed and supported networks, and provided system administration services. In this role I helped enterprises with creating user accounts and granting access to network resources (mostly files, folders and printers). I’ve recently completed a couple of projects that remind me of those simpler days. Last year I worked on an enterprise Access Governance project. This project, for a financial institution, was a challenging to me and important to the client. The primary driver for the project was to answer the auditor’s question ‘who has access to what’. This organization, like so many large enterprises, needed to have an efficient method of determining which users were accessing which applications, databases and files. Reporting on this is harder than it seems. The wide range of financial, human resource, marketing and client self-service systems means that access is granted in many different ways. User accounts are common for enterprise systems (like network login and email) but often unique for ERP, custom or business area-specific applications. Even if the same network account is used across enterprise applications, reporting on access (security groups, permissions, rights, etc.) is very difficult to automate. As a result, reporting on who has access to what is pretty much a manual exercise that is impossible to carry out without a significant effort. What makes Access Governance difficult is that it is a new concept that is (I think) widely misunderstood. Executive management are uninvolved unless a breach has occurred that forces them to take interest. Senior IT management (CIO, Directors) are feeling the heat from auditors, but have no experience with the new Access Governance tools and methods. Managers are swamped with ‘real work’, and analysts generally consider the whole exercise to be either ridiculously time consuming or impossible. The trick, I believe, is to get support for Access Governance as high up in the organization as is possible. That might be the CIO level, or possibly higher if poor compliance reports or breach incidents are a priority for executives. Only with senior support can a program be established that will deliver on Access Governance and, ultimately, start to lay the groundwork for an appropriate program. The Quest to Replace Passwords — Extensive report on challenges with replacing password (HT@aniltj). The table on page 11 is worth a good study for anyone interested how various password-less authentication options stack up. Identity Management on a Shoestring — An excellent report on how to implement IAM in an enterprise without spending years/millions. Uncanny resemblance to work I’ve been involved with in the past several years, i.e. customized implementations that are not constricted by the cost and complexity of COTS solutions. Economic Tussles in Federated Identity Management — Another excellent paper, this time on the economic issues related to Fed ID. Points out how successful implementations occur when IdPs, SPs and users all receive benefits. These should get your new year off to a good start – happy 2013 everyone! To be frank, I don’t have e-voting very high on my personal list of municipal problems to be solved, BUT I do have a keen interest in how people are identified online. The City’s new project has an identity proofing process for this pilot project. It includes a unique method of collecting identity proofing documents that I haven’t seen before: citizens scan (or take a picture of) their real-world identification, then upload it to the City’s website. Allowed documents include drivers license, passport, Canadian military cards, etc. (see sidebar). The image of the identification document is then reviewed manually by employees in the elections department and presumably compared to lists of eligible voters. Only when the document matches up with a previously registered voter will a credential be issued to the citizen for voting purposes. This approach is convenient to citizens, or at least those that are savvy enough to scan a document and upload it to a website (which is probably a pretty high percentage of those that will consider online voting). How does the process ensure that the citizen is in control of the document at the time e-voting registration takes place? For example, the passports for a household might be stored in a filing cabinet. Let’s say one member of the household is politically active and the rest don’t vote at all. How difficult would it be for the one family member to round up the passports and create multiple e-voting credentials? Finally, how can one be sure that the scanned identity document has not been digitally tampered with? 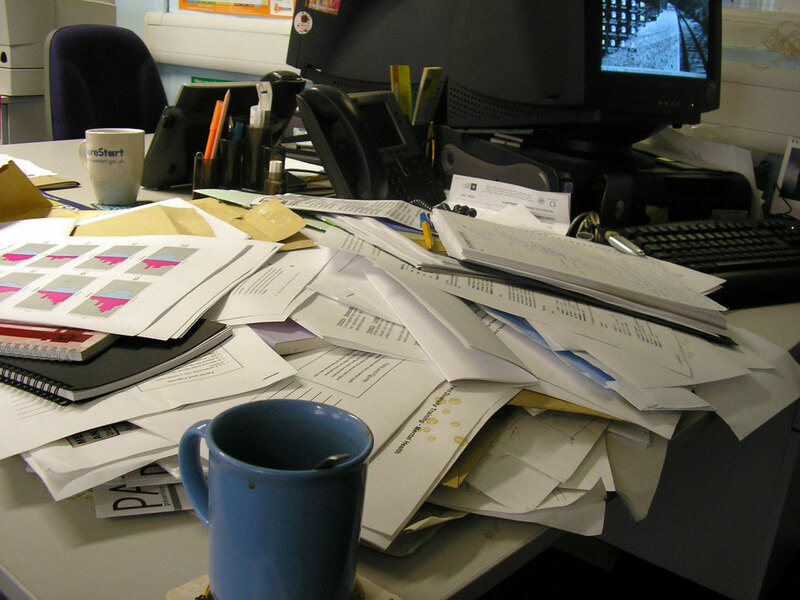 Paper and plastic documents have physical safeguards to increase reliability. 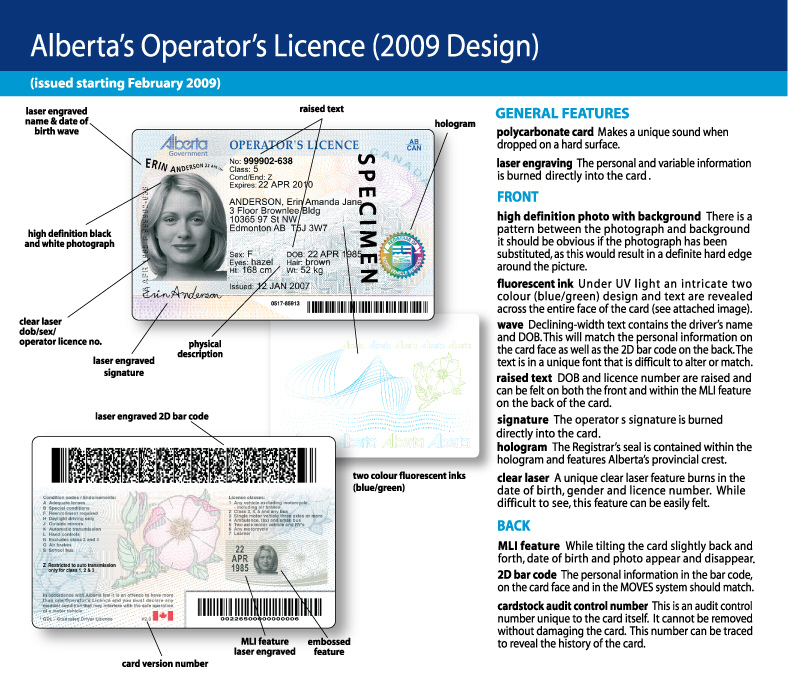 For example, the Alberta drivers license has a hologram on it and ‘declined width text wave’ feature (and these are just two of a dozen security features). How do these features translate to the scanned image? 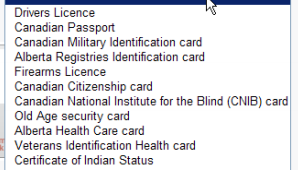 Assuming many of these features do not translate well, how well does the scan of the document actually prove the citizen’s identity? As a comparison, would such a scan, subsequently printed, be acceptable as ID at the polling station? It will be interesting to see how these and other challenges of e-voting will be overcome in the coming months.